If you’re a regular reader of my blog, I’m sure you’ll notice my unhealthy obsession with desserts. For me, a perfect meal always ends with delectable desserts. So when I first saw the sneak peek photos from Maggie’s Vintage Ice Cream Shoppe themed party, it certainly piqued my interest. 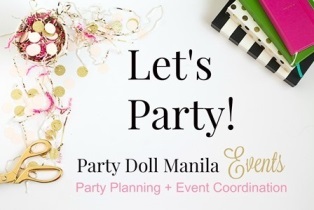 I’m sure glad I got to feature this lovely party here today, having oodles of fun and gorgeous party details that will give inspiration to everyone. You know what, after reading this post, I’m sure a lot of you will consider this sweet and wonderful theme for your next party. As I’ve said a couple of times, Kidstar Kastles is known for their colorful party setup, and having them to style a vintage type of party is something to look forward to. I honestly thought I’d never see the day of them joining this trend in the children party scene. From the entrance to the stage décor, the wooden element they used provided the perfect canvass for Maggie’s Vintage Ice Cream Shoppe themed party. Personally, I love the match up of pink and brown. The balloon pillars shaped to look like a huge sundae is sooo adorable. I love it! Well, a Kidstar Kastles party will not be complete without lavish ceiling treatment. I love how Krissy of Little People Lifestyle Photography perfectly captured the party and the priceless smiles and laughter of the guests. I’m sure Maggie will cherish these wonderful memories in the future. These arts and crafts activities that are so much into the theme are pretty clever. They really gave a lot of thought to it – there’s the “Yummy Summer Popsicle” (coloring station), “Rainbow Ice Cream Playdough” (make your own sundae using home-made playdough), “Scoop a Tag” (create your own bag tag) and “Bag of Treats” (decorate you own bag). Judging by these photos, the kids had a blast unleashing their creative side. For their desserts station, these pastel colored sweet treats look heavenly. The cupcake in a cone idea is fantastic! The “make your own sundae” bar should definitely be there, after all, this is a party theme in honor of them. Just look at Maggie’s ridiculously adorable ice cream themed cake. A little something for Maggie’s friends. What’s inside? More yummy goodies, I guessed. Here are more snippets from Maggie’s fun-filled and exceedingly sweet Ice Cream Shoppe themed party. I love the Cake… it would be fun to have one for my son’s next birthday ! yum! that vintage ice cream party is so great. everyone is happy esp the kids and the celebrant. Yay I am an ice cream lover, and I am drooling yay. i love the whole colourful place!! i love sweets as well specially ice cream in mcdonalds or forzen yogurt or yummy cookies. hehe i am trying to live a healthy life but this I cannot resist! sugar rush there all the kid looks happy! Nakaka-adik ang blog mo! If I can only grab and eat those desserts I would do it without your permission hahaha. children these days are very fortunate to experience grand parties like this. i love the theme so much, the colours are so sweet! the smile in the kids’ faces is priceless. For some reason this reminds me of the old Coney Island Ice Cream store… I mean the pink colors in particular. It’s only at this blog that I gained insights on various unique party themes. I love all the party features! Everything is so refreshing! Hands down! Was this in a restaurant, if yes, where is this located sis? Wow! Lots of macarons! I love macarons! Such an awesome party! Arts and crafts are always enjoyable for toddlers at parties. So adorable! This ice cream shop theme is by far my favorite of all the parties you have featured. Adored all the sweets, the decoration, the colors, everything. Totally fab. I would love a theme like this for my own. Nothing says party than an ice cream shop themed party.. and may I say, the celebrant is adorable! This is a very colorful theme! I bet the guests loved it. Oh that cake I just want to lick it hahaha..This is very lovely theme and very sweet too..I can see to the kids that they enjoy the party.. I can’t get enough of the sweetness of this post *~* I wish I can have a sweet party like this too!